I found the work that you did to improve my confidence when racing at Hog Hill really helped. I used the trigger that you suggested and found that it gave me a real boost. I also tried it just before an interview and it helped there too - and I got the job. Ready to Stop Struggling and Start Achieving BIG Goals You Thought Were only Dreams? The mindset shift you need to get focused on your goals and achieve them in less time. Our system shows you how to get things done 4 times faster...and stay motivated the whole way through. How to FIND the time you need to lose those 10 pounds, get the promotion, to start that business and have it in profit in 6 months or just about anything else you’ve imagined...even if you think you're too busy and don't think you have the time. We all have the same 24 hours in each day. It is just a matter of what you do in those 24 hours and in your 365 days you have each year. What can you do in a year to accomplish your goals? This is a strategy that is applicable to no matter what you’re doing. Whether you want to grow your business, lose weight, learn a new language or master a certain craft. We’re going to show you how to accomplish more in 90 days than you did in the last year. That is not hype. It is all about a key shift in mindset and in the planning, using our unique 4X System tools and we'll show you exactly how to implement all of it. Practical exercises and a chance to create your own 4X System game plan during the training...you’re not just learning theory, you’ll GET THINGS DONE as we go. 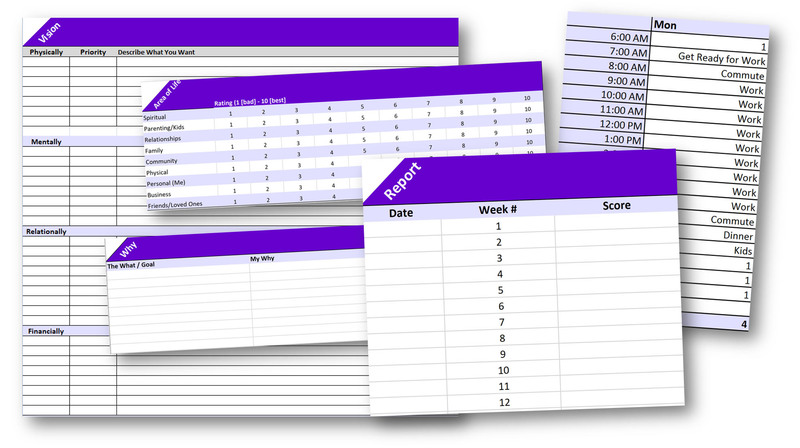 Journaling is an essential piece of the 4X system and will help you track your progress and find any obstacles you may be facing on the way to reach your goals. This unique journal also helps keep you focused and grateful for your progress, which is key to staying the course on achieving your goals. 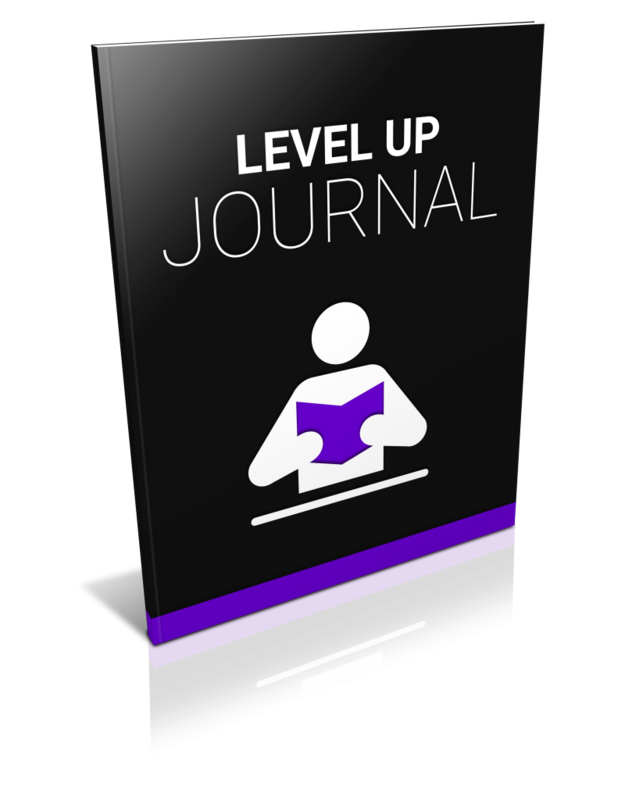 We'll walk you through using this journal to get all its benefits. As you start to record your progress, document the obstacles you've overcome and adjust as you make new discoveries, you'll be creating your own success documentary that you can review...and use to stay motivated to keep pushing forward. If you're ready to completely change the way you approach getting things done and achieve goals you previously thought were just dreams, join us for this limited availability training. I can't wait to get started on this training and show you the tools you need to bring success to all areas of your life and help you achieve those BIG goals you've only dreamed of. Here's what you can expect 3 In-Depth Training Sessions on using the system plus weekly bonus sessions to help you overcome individual challenges. 4X Master Checklist to keep you on task and on the way to steady progress towards your goals. 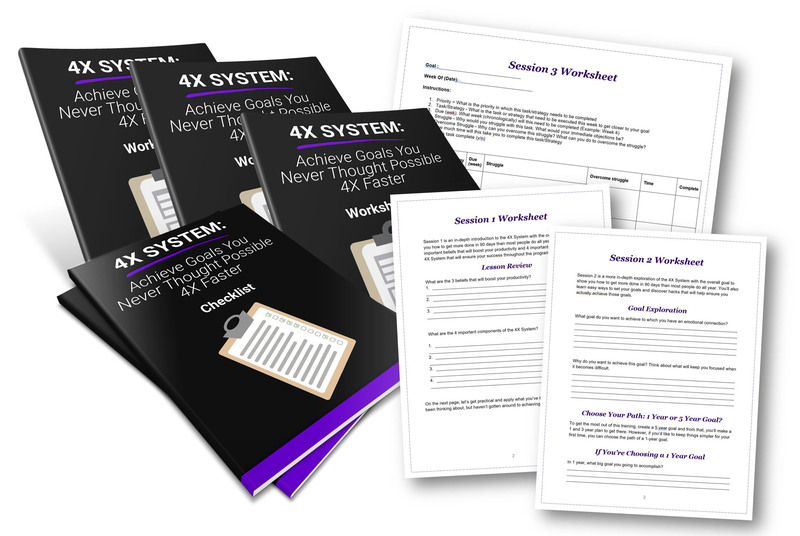 4X System Master Worksheet that helps you explore your life in full, create big goals and make plans to get there. As I mentioned, spaces are limited on this training and it won't be offered at this introductory price again. This is your chance to gain access to the productivity and success system that very few know about and accomplish more in the next 90 days than you did all last year. Next time I run this course, you can expect it to be double the price, so grab your spot now and get ready for big changes in your life in the next 90 days. If you’re tired of giving up, getting overwhelmed and falling short of where you want to be in ANY aspect of your life, put a stop to it right now and let’s get started. Here's to Your Great Success, Mike Beasant Performance Director P.S. Life is busy. Heck, life is HECTIC and we’re so wrapped up in the hustle and bustle of daily living, that we rarely have time to focus on ourselves and what we really want to get out of life. 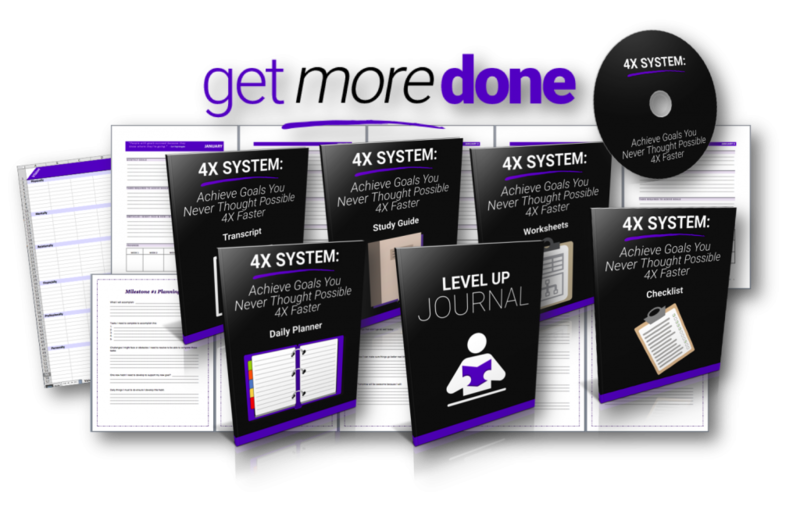 The great news is that the 4X System shows you how to FIND that time and get things done. Join me now. P.P.S. It’s not too late to quit the self-sabotage and start getting things done 4X faster AND achieving goals you never thought possible. Stop looking and wondering why you're not as successful as others...grab that success for yourself with the 4X System now.